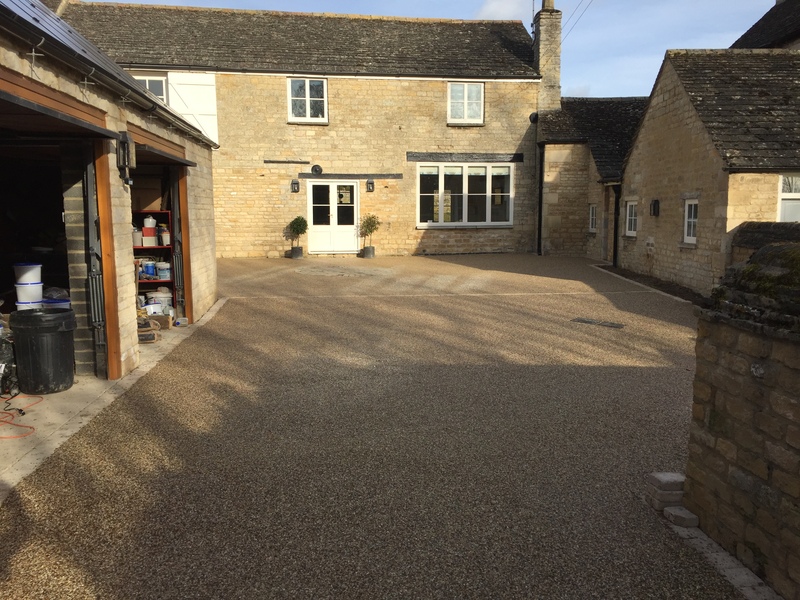 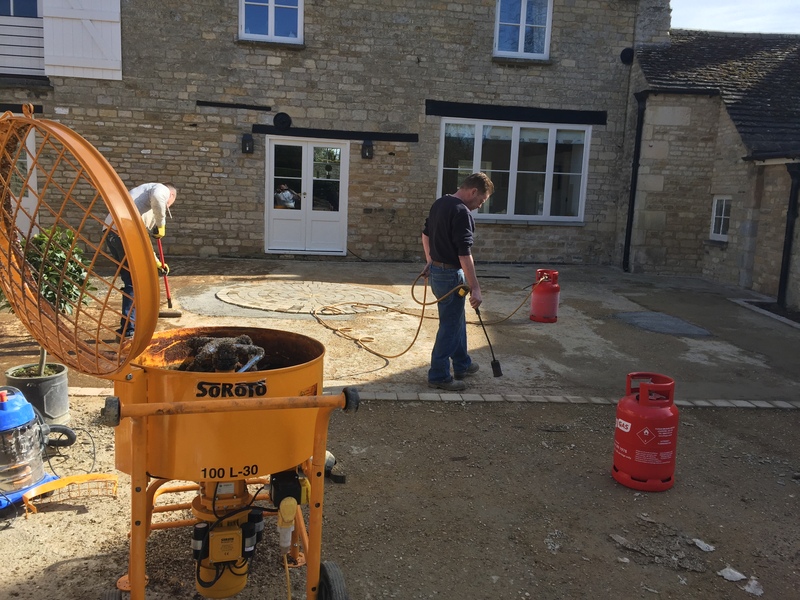 Our clients in Tinwell wanted to install a Resin Drive/Courtyard with matching paving around their property to keep in keeping with the style of listed building. 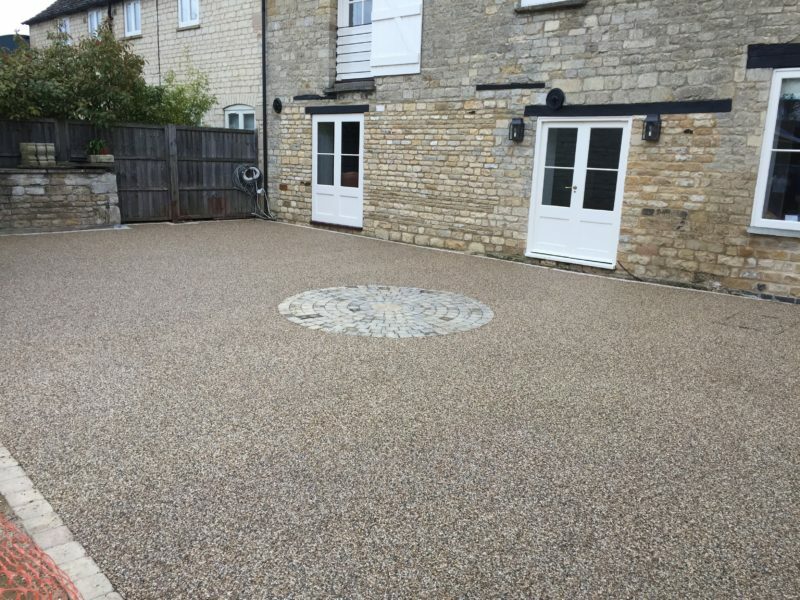 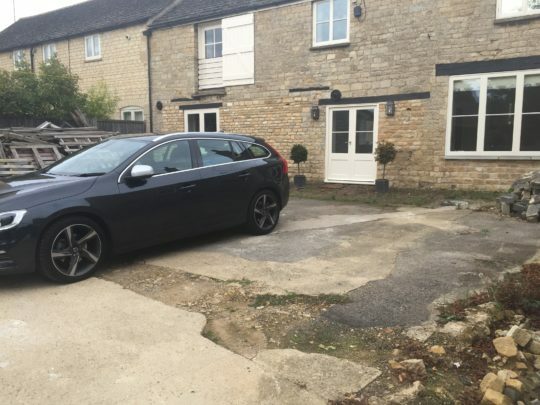 We started by repairing badly damaged areas of concrete and tarmac and fixing the levels that were all over the place. We then laid a block circle centre piece to the top of the courtyard and edged the entire area with rumbled blocks. The existing paving area was lifted and concreted ready for a resin overlay as well as a new spiraling pathway installed from scratch, all with edging blocks to match the rest of the install area. Whilst excavation equipment was on site we also created a large pond area and installed a liner. 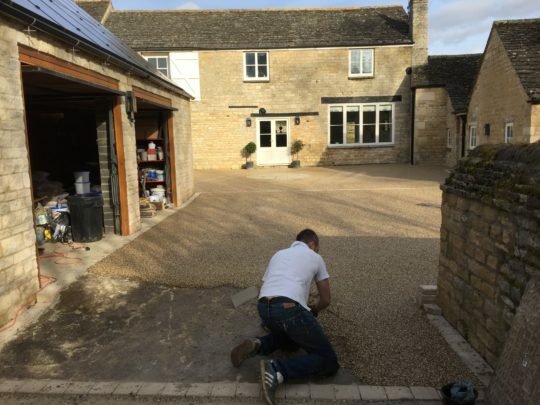 To finish off, a patio area was installed at the rear of the property with indian sandstone slabs and railway sleepers and electric hardwood 5 bar gates were installed in two locations.